LED flashlights are smaller, lighter, extremely long lasting (you can expect to get up to 10,000 hours of lights), require far less power to operate, and sturdier (more shock resistant and drop proof) than regular flashlights. 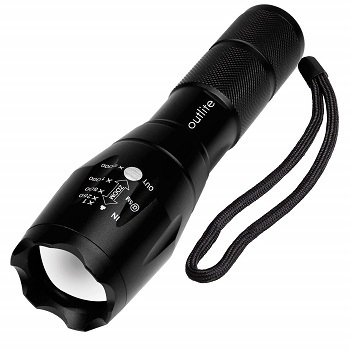 A perfect flashlight for outdoor activities, emergency, camping, hiking, fishing, cave exploring, home use, car breakdowns, self defense, etc. So if you like to enjoy the benefits mentioned above, and looking for the best LED flashlight, the list below will simplify your search. It only takes a single AA battery to run for hours, and the beam can sweep light over the length of two football fields on a clear night. Its strike bezel and strobe mode, on the other hand, also make it a reliable defense tool. And its battery life is pretty impressive, lasting about three weeks if used consistently. 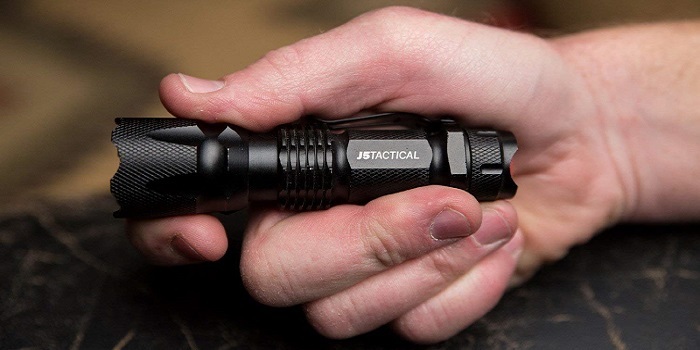 While to protect your investment, J5 Tactical V1-PRO comes with 1-year warranty. 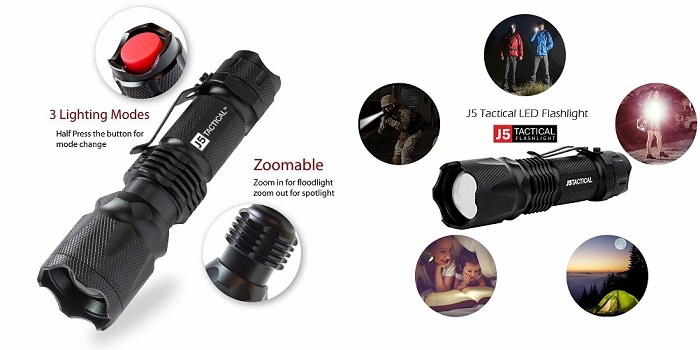 An ideal LED flashlight for people who like to go cycling, camping, hunting, fishing, emergency situations, military operations, rescue missions, etc. • Easy to grab because of its anti-slip grip. • Virtually indestructible, and blindingly bright. • Sturdy tail switch won’t switch ON accidentally. • Has a sturdy clip that holds the light to your helmet, cap, or backpack strap. • Can quickly change modes from the bright mode, dim mode and to a flashing mode. • For some people, it`s a bit short. • The dark setting has no relevant use. • Only runs on a single battery that will not last long. • Light doesn’t turn-on with a slight press of power button. • Some users report that the switch jams after numerous uses. • Easily light up an entire room or focus in on objects up to 600 feet away! • 10 times brighter than old incandescent lights. 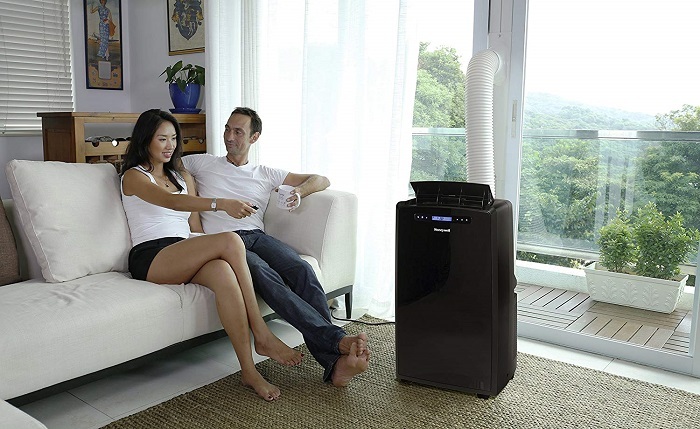 • Conveniently powered for hours with a single AA battery or a 14500 rechargeable battery. • 3 useful settings (High – Low - Strobe) and wide-to-narrow beam zoom. • Water and drop resistant. 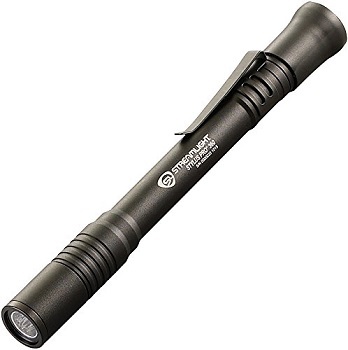 This lightweight budget friendly LED flashlight is good to have around the house as well as for survival purposes. There are three output modes, thanks to the Ten-Tap Programming. The high output mode is 350 lumens, the low output mode is 40 lumens. It retains the strike bezel, strobe, and tailcap switch that make it a valuable close quarters combat tool. 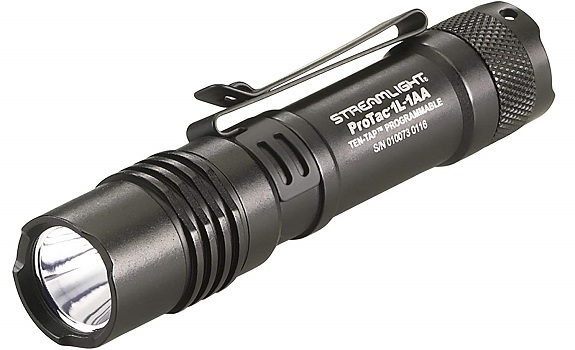 While to protect your investment, Streamlight 88061 comes with 2-year warranty. • Strong and functional pocket clip. • Waterproof to 1-meter for 30-minutes. • Durable construction yet very compact and light. • Light isn’t as bright as expected. • The battery compartment doesn’t have a spring on both ends. Compact, curable construction, sleek design, convenient tail cap switch for single handed operation, and impressive light outputs make the Stylus Pro ideal for professionals in law enforcement, security, industrial work, and automotive work, etc. It`s practically weightless in your shirt pocket. It made of anodized aluminum construction for better durability and IPX4 water resistant. While to protect your investment, it comes with a lifetime warranty. • Very smooth light pattern. • Bell-shaped rubber sleeve over switch provides stability so the light can stand upright. • On/off switch is difficult to operate one handed. • The clicky switch on the back is difficult to depress. 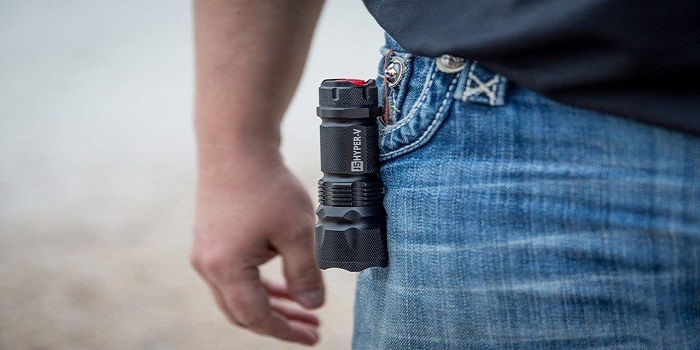 PeakPlus is one of the brightest and most water-resistant tactical flashlights currently available. The lamp body is made of aluminum alloy to withstand abrasion and shock, making it a perfect addition to any outdoor activities. The 1200 lumens LED lamp itself is meant to last 100,000 hours as has a wide range of 200 to 500 meters. While the soft touch tail cap switch allows easy on-off mode and ease between switching between all of its different light modes. • Very bright and well made. • Has a rechargeable battery. • 5 different dimming modes. • LED Lamp Lifespan: 100,000 hours. • Charging time is too long. • The charger does not always work well. • Doesn’t come with an instructions sheet. • The accessories are prone to break easily. • Can`t be set to stay on one particular setting. • High Lumens LED makes our flashlight 10 times brighter than old incandescent flashlights. • Runs on either a 18650 lithium ion battery or 3 AAA batteries. • Beam Range: 200 to 500 meters. • Water resistant, anti-abrasive, skid proof. • 5 light modes & zoom function: Full Brightness, Medium Brightness, Low Brightness, Strobe Brightness, SOS. • Adjustable focus for close or long range. Functions as a spotlight that throws an intense beam of light up to 600 feet ahead or compact small floodlight that brings illumination to a wide area. The MicroStream LED pen light provides up to 683-candela peak beam intensity, 28 lumens, and a beam distance of 52 meters with 30,000 hour lifetime. The construction of this flashlight enables it to be waterproof and to have an unbreakable lens made of polycarbonate. It also has a micro optical system that facilitates optimized run time and output. While to protect your investment, it also comes with a lifetime warranty. It`s a great choice for those of you who need something reliable in a compact form factor. • Extremely durable (shockproof, IPX4 for water resistant, and abrasion resistant). • The clip tends to snag on things. • Buttons feel a bit flimsy and difficult to press. • Issues with the tail cap working properly. 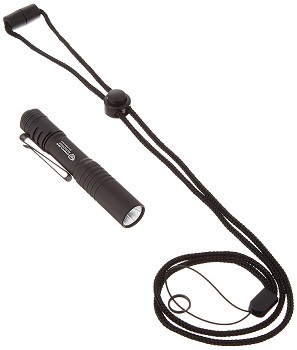 The flashlight body is made of heavy duty aluminum, which is scratch waterproof and skid-proof resistant. It also comes with a white LED light that can last up to 30, 000 hours and a brightness rating of 140 lumens that can illuminate a very wide area. • Always cool to the touch. • Short battery life as they die quickly. • 3 AAA batteries (included). • Zoomable: the maximum range of zoom in mode can be up to 150m, and the zoom out mode is suitable for close-range large-area illumination. • Rugged and non-slip: Made of 6063 high-performance aluminum alloy which is sturdy and durable, and the skid-proof design can prevent slip out easily. 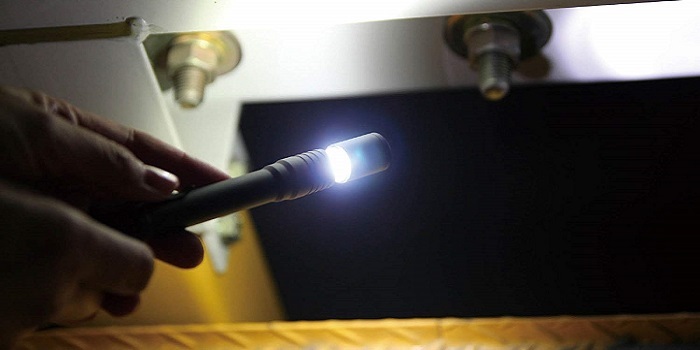 Maglite has become an industry standard in flashlights. It's used by law enforcement officers, emergency responders, military personnel, and everyday people. You can drop it from a height of 1 meter or splash it in water for five minutes or so and it will still work. It features a mode called QuickClik™ which allows the quick access to all of the different modes. • Quite long regulated runtime. • D size rechargeable batteries are expensive. • Advanced lighting instrument made in America with a diamond knurled design and a powerful projecting beam making it suitable for camping, climbing, fishing, hunting, etc. It comes with a torch, adjustable focus, zoom light lamp, and 300 Lumens for optimal brightness. 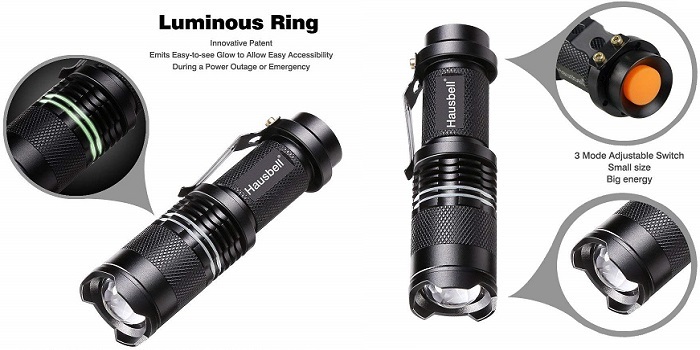 This mini-sized flashlight (can be used on a keychain) gives a bright and blinding effect. It also has a small clamp that makes it easy to store securely even in a pocket. 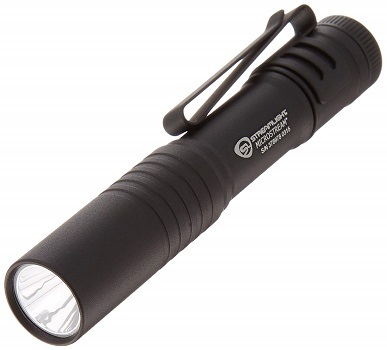 Comes as a pack of two and for such a low price tag this mini LED flashlight will prove to be a great deal. • Smooth zoom from a wide angle beam to narrow down. • The beam is adjustable so you can broaden the light or concentrate it into a fine beam. • Pocket clip helps to keep the flashlight from rolling away when it's placed on a flat surface and can be tied to belt. • Battery spring isn`t properly secure. • The anodizing is pretty thin, and wears off easily. • Tactical-grade aluminum case is lightweight yet waterproof and built to last in extreme conditions. 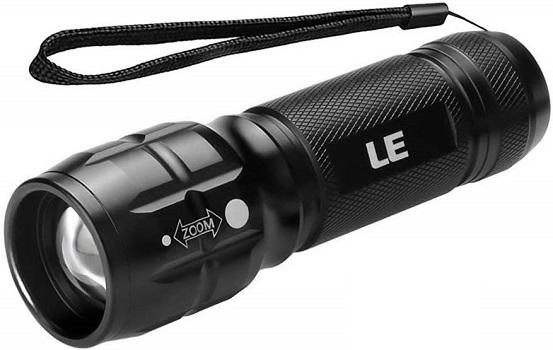 • Zoom, adjustable focus range to concentrate the beam or widen it to light up a bigger area. Its body crafted from high quality 6061T aluminum alloy which makes the material scratch-proof. Boasts a burn time of more than 100,000 full hours, giving off 900 lumens of blinding light output at a maximum. While to protect your investment, Outlite A100 also comes with 30 days money back warranty and lifetime breakage replacement policy. • High lumen output for size. • Easy to carry in a pouch or even a large pocket. • Sturdy and durable enough for long time daily using. • The smart zooming feature adds up to the quality high lumen experience. • Not so clear instructions. • A bit flimsy on the inside. • No memory mode function. 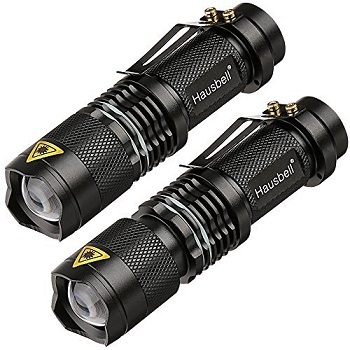 Boasts durable construction, high light output, decent water resistance, and multiple modes of operation, making it dependable in so many situations. The Aluminum Alloy case takes some drops so well, while the clip is tight and secure. You can operate the flashlight with just one hand easily. Also, it has different levels of light modes (low, high, intelligent, and strobe) that help you to be ready for anything coming your way. (FYI: - the strobe level is disorientating for potential attackers). 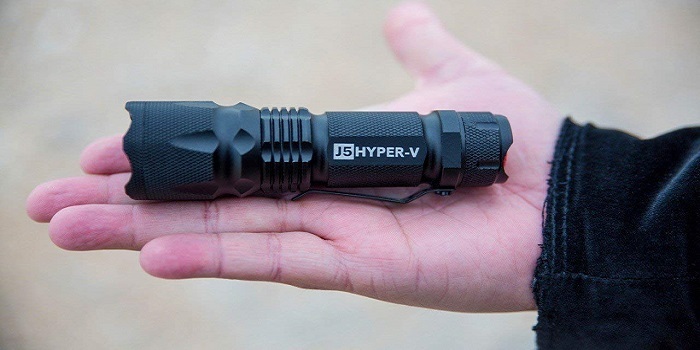 This LED flashlight can survive a 9-foot drop or temporarily submerged in water. The J5 Hyper V has everything that an outdoor adventurer might need, but it can also be used by the people of other professions as well. • Zoom in or out easily. • Good and sturdy grip. • Very bright, solid, durable, and compact. • Great design in pitch-black color with a big logo on the side, and it looks fantastic. • Ultra-thin and loose belt clip. • Not as compact as the J5 Pro. • The switching mechanism, especially with the modes, doesn’t work so well. • Easily light up an entire room or focus in on objects up to 800 feet away! • Conveniently powered for hours with a three AAA batteries. • Water resistant - can survive a 9-foot drop or being temporary submerged in water.